You’ve seen this book here before, but bear with me because ….. SATURDAY IN SERENDIPITY is on sale at Amazon for $0.99 cents. These stories of love rediscovered—Three Strikes Thursday; Two On Tuesday; and One Fateful Friday—take place around the week end of a twenty year high school reunion in Serendipity, Vermont. Among the six heroes and heroines, the most memorable character for me to write was Aaron Goodwin, the anti-hero who wreaked havoc in Two On Tuesday. IWSG: Why Are We Compelled to Write? Why are some of us so compelled to write? Does anyone know? We string words together, arranging them just so. Spacing, positioning, assembling them in the right order to say what we need them to say and make readers feel what we want them to feel. This column originally appeared on 11/23/2014 at The Roses of Prose. It happens fast, doesn’t it? Summer ends, school starts, Halloween hits and – boom – before we know it we fall into the holiday season. Parties, shopping, decorating, shopping, tree lighting ceremonies, shopping, family dinners, followed by shopping. In our family, the transition from Thanksgiving to Christmas isn’t quite as smooth as it could be. In our family, which includes me, my husband, our four children, three in-law children and four grandchildren, we have six birthdays to celebrate before we can fully break out the holiday cheer. Saturday in Serendipity – $0.99 Oct 23rd – 27th! 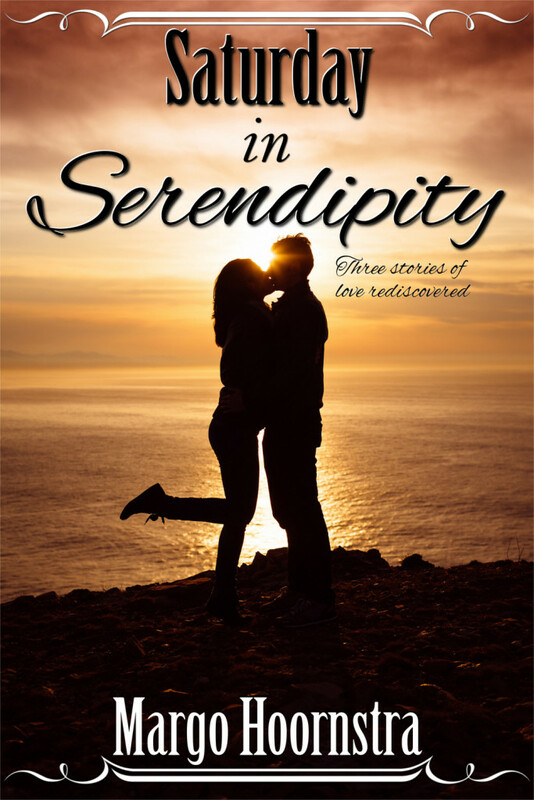 October 23rd to 27th Saturday In Serendipity is on sale for just 99 cents! I’m joining a number of other authors on October 26th for the Cheap Thrills Twitter Party. My time to be live is 12:00 to 12:30. Join us for more books on sale, giveaways and just plain fun, using the Hashtag #99CheapThrills. For more information, and to ‘Like’ us, please go to our FaceBook page. Saturday In Serendipity and Road To Serendipity FREE ON AMAZON – September 16-19! What happens when former classmates get together for their twentieth high school reunion? Two books containing six stories Saturday In Serendipity and Road To Serendipity answer that question. Please click over for a couple of free downloads, and join our cast of characters for a trip down memory lane. Saturday In Serendipity brings you the following.